It’s that time of year again…time to put your resolutions into action! We’ve got some helpful tools to keep an eye on your costs and maximize your reimbursements. 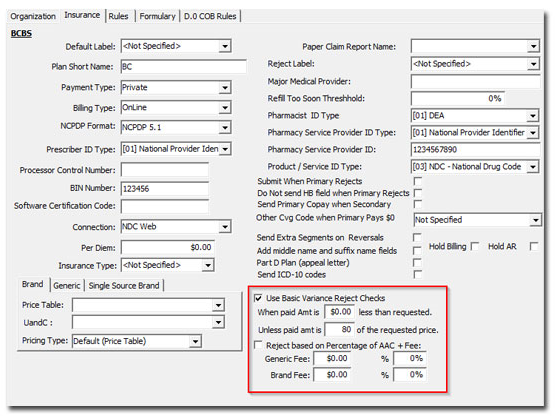 Variance Checks can be set up at either the System or Insurance levels within GuardianRx. These checks are designed to help protect you from accepting approved claims that are paid by the insurance at less than an acceptable limit as calculated by a percent or amount paid. The Use Basic Variance Reject Checks box is used to activate a variance check on a specific insurance. 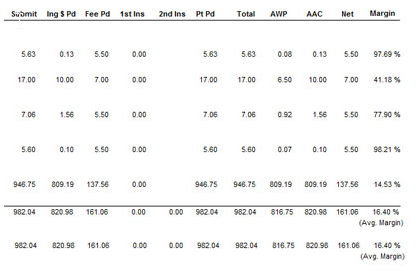 The Extended Third Party Summary Report is used for checking totals per plan and can be selected by plan and group. This report also displays the number of prescriptions dispensed per plan with a summary of their drug costs and % Margin over a specified date range. The Third Party Detail Extended Report lays out the detailed information on each claim including AWP, AAC, Net and Margin. This will allow you to easily identify those specific prescriptions in which you are being underpaid.